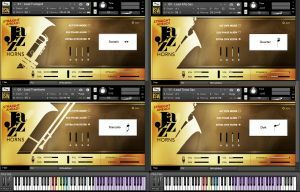 Straight Ahead Jazz Horns by Impact Soundworks is a Virtual Instrument Audio Plugin and Soundware (e.g. samples or presets that load into other products). It includes, and is therefore "powered by", Kontakt Player, which functions as a VST Plugin, an Audio Units Plugin and an AAX Plugin. Straight Ahead Jazz Horns is a revamped and reimagined version of the original Jazz Horns library by Straight Ahead Samples. Featuring 13 solo brass instruments and 6 multi ensembles spanning 75,000+ samples, the library is designed to let users create authentic jazz, pop, R&B, funk, and swing brass parts, either using solo instruments or full ensembles. The library includes a new technology developed by ISW and Straight Ahead called Smart Voicing, which is used for the ensemble multi patches. In these patches, users can play simple block chords in the left hand, and a mono melody line in the right hand. Smart Voicing will intelligently harmonize each melody note based on the chord played, using a database of over 10,000+ handwritten voicings. Smart Voicing is thus designed to make it easy to create authentic and realistic brass voicings, even if the user is not experienced and only requires one MIDI track to create fully-voiced parts. 13 deep sampled solo instruments. 6 multi ensembles using Smart Voicing. Over 75,000 samples available as 16 and 24-bit. Two distinct mics with separate recordings and mix. 12+ articulations including true legato and glissando. TACT - Total Articulation Control Technology - used for custom mapping and triggering of all articulations. 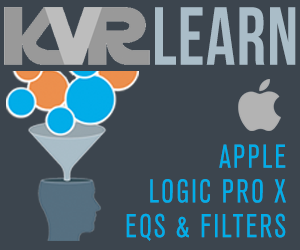 Extensive options and tweaks available for advanced users. 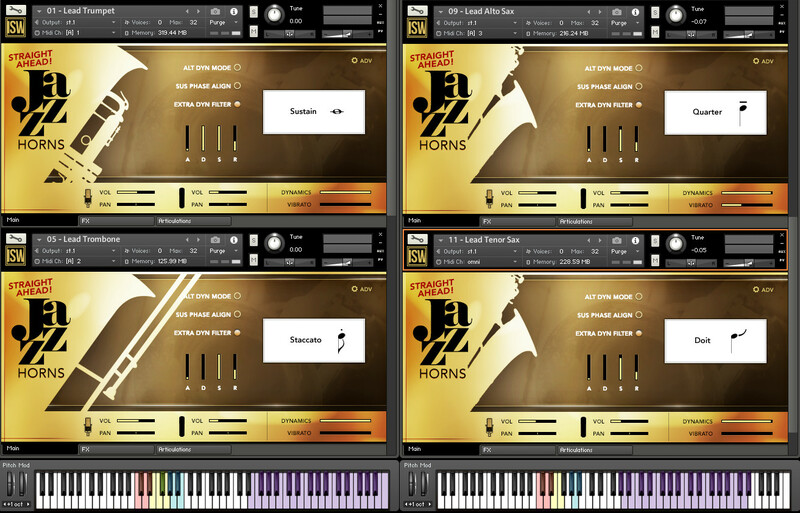 SA Jazz Horns is available now for MSRP $249 and is compatible with the free Kontakt Player plugin. It includes both 16 and 24-bit patches and samples.